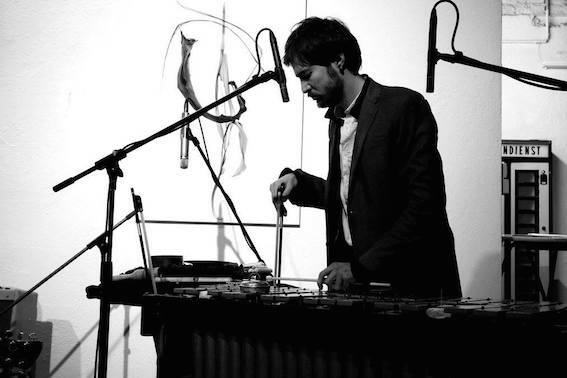 Emilio Gordoa is a Mexican composer and vibraphonist based in Berlin since 2012. He’s involved in numerous projects including his work as a soloist and in collaboration with theater and dance. Emilio is specially focus in sound art, experimental music, noise, free jazz, improvisation and contemporary music. Emilio studied music composition with Vincent Carver and Mario Lavista, and percussion with Raul Tudon. He has collaborated and performed with artist such as John Russell, Tristan Honsinger, Misha Marks, John Butcher, Axel Dörner, Tony Buck, Tobias Delius, Ignaz Schick, Klaus Kürvers, Alexander Bruck, Richard Scott, and Ute Wassermann.